Step 1 Remove all but the tiniest stems from the watercress leaves. Wash the leaves well in cold water and spin dry, then wrap in towels and refrigerate until completely dry. Step 2 Combine the watercress, oil and cheese in a blender or food processor (work in batches if necessary). Process until chunky. Stir in the almonds, then process until almost smooth. Season with plenty of salt and pepper and hot sauce to taste. In Recipes-list.com we have selected the most viewed recipes from category - Sauces and condiments Vegetarian . Enjoy the best recipes specially selected for you! 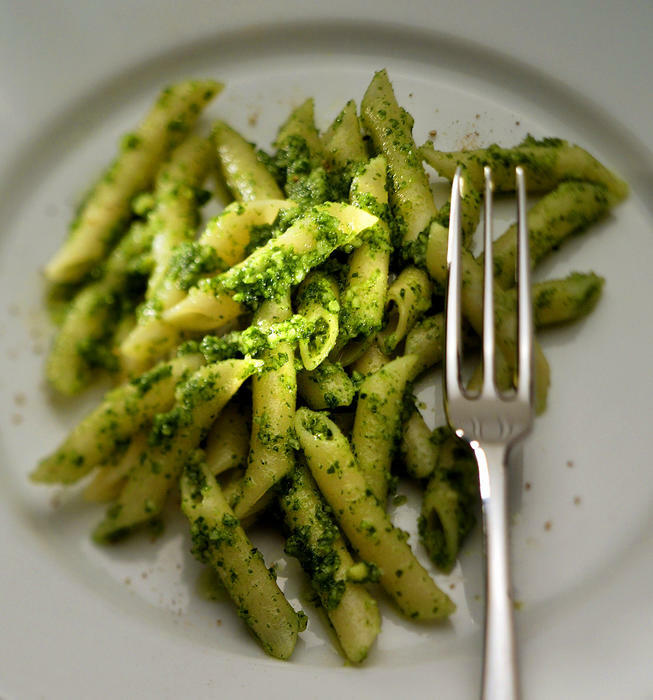 Almond watercress pesto is the right choice that will satisfy all your claims.